Metal buildings are widely used as garages for home business use. aesthetically compliment a residential property. If you need to expand your residential living, storage or workshop space, our metal building garage kits are more economical than a traditional garage building. Design and price your metal garage kit and get an approximate cost on your building. 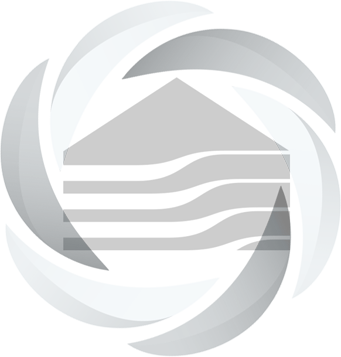 Hurricane Metal Buildings® manufactures and supplies metal buildings to government agencies and large corporations but our residential business is the heart of our metal building company. Working with people all over our great country is rewarding and the foundation of our clientele. Metal garage buildings require a foundation and some small equipment to assemble and secure to the foundation. Most homeowners have the ability to erect a garage kit on their own with a few helpers, which can cut the cost by 60%. Whether you need to store recreational vehicles, automobiles, workshop equipment, lawn equipment or want to start a home business, rigid frame metal garage kits provide the security, strength and appeal you are looking for along with the flexibility to custom design and accessorize your building to conform it to your needs. Only the rigid frame metal building provides the appealing design but also the strength to gather the world’s strictest building and wind codes. Add the desired types of walk through, and overhead doors into your building. Walk through doors come in 3’, 4’ and 6’ wide 7’ tall single and double leaf with 18 - 20 gauge galvanized steel. Over head doors can be added in any dimension from industrial roll ups to sectional and bi-fold doors. Add windows from 2’ to 7’ wide or tall, polycarbonate translucent skylights with ultra-violet inhibitors, interior lighting, heating and AC, or custom ventilation for the roof or walls. Choose from 17 different metal building colors to match your home or taste. 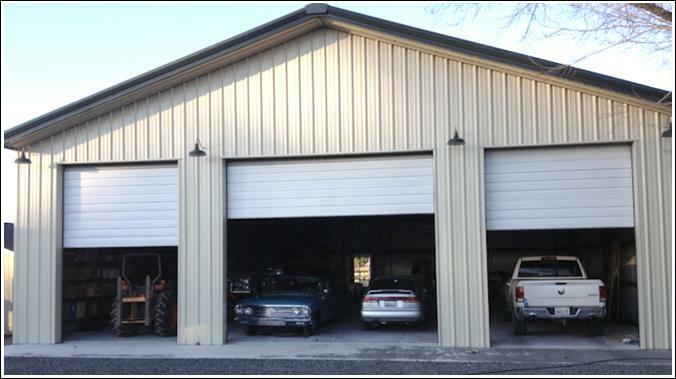 Metal garages are a much better alternative to wood or CBS construction due to their low cost of materials and labor. The ridge frame structure is so string there is no need for beams or posts so you have a 100% usable area inside. You can even add on to your garage by extending the length from either end. The superior I Beam Red Iron rigid frame construction and design also withstands heavy snow loads, hurricane force winds and the conditions in the world’s harshest weather regions. The metal building kit is mostly maintenance free. Paint and other warranties last up to 40 years. Metal garages are growing in popularity as residential storage space and workshops because of the practicality, lower pricing, building strength, and low maintenance. You can customize the exterior of your metal garage with brick or stone siding, planters, patios or trim to match the look of your home. Give us a call and let us help you get creative and share some of the ideas our other customers have used.